If you want to get a message across to people, it’s not wise to use a national hero as an example of what you don’t want them to do. 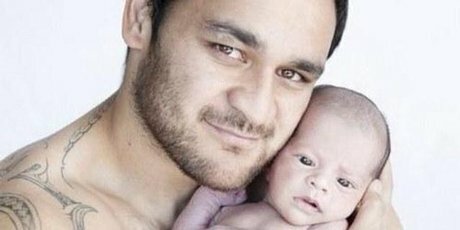 A two-second clip of All Black and Kiwi icon, Piri Weepu, bottle-feeding his six-month old daughter was scrapped from an anti-smoking ad because breastfeeding activists felt it was inappropriate. When the New Zealand Health Sponsorship Council (HSC) revealed this chain of events, La Leche League have been labeled as bullies and whingers, while the nation has come out in support of Weepu as a caring father (no surprise there!). And while the scenes that ended up on the cutting room floor have overtaken the smokefree story a little bit, they’ve certainly ensured that the ad campaign has received its fair share of publicity even before it’s been broadcast. Now, on the other hand, if Carlsberg did dads, I’m pretty sure they’d look something like Piri.